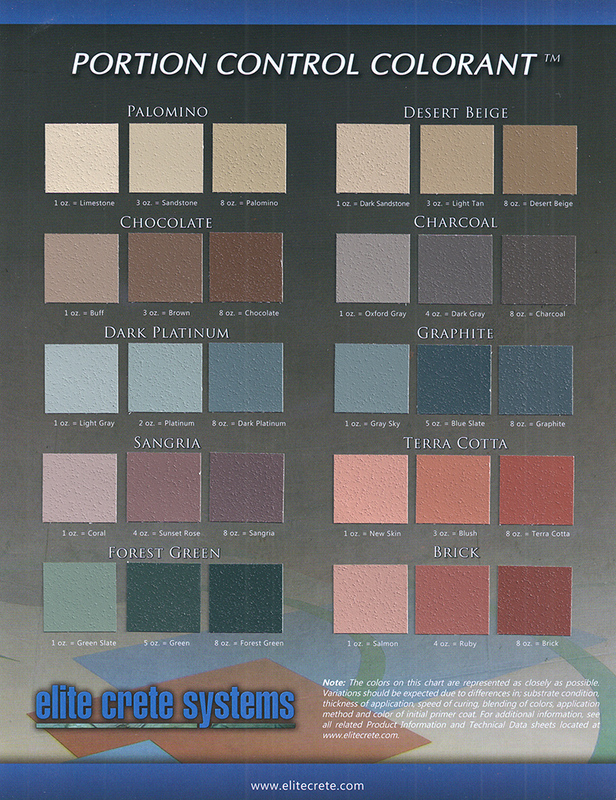 Interior designers will love the creative possibilities with this Elite Crete product. 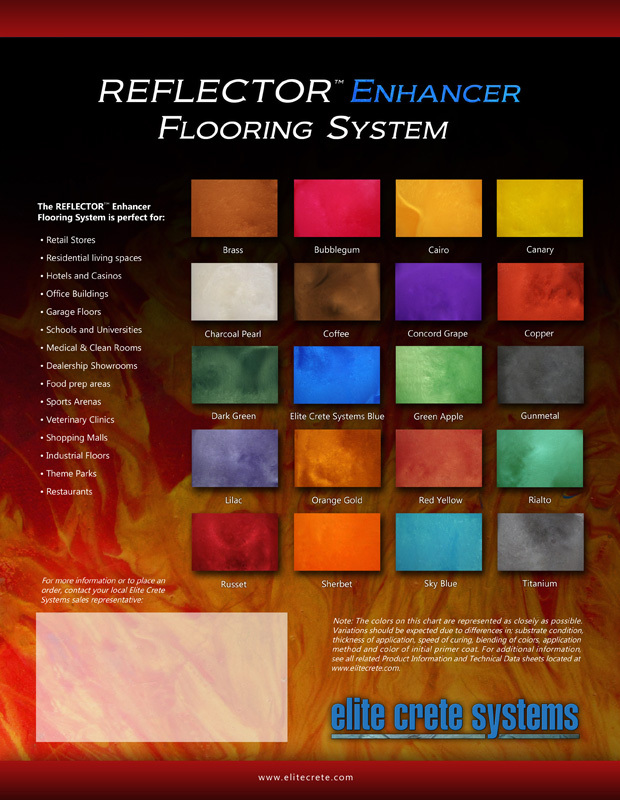 Floors that look like the deep blue sea are possible with this high gloss epoxy coating. Look at the colors below and let your imagination run wild. Decorative Concrete carries high performance epoxy coatings from many different manufacturers so we are sure to be able to install just the right look to set off your design project.